No articles or opinions posted on indie-music.com are to be considered Financial Advice. Cryptocurrencies are a Highly Speculative Endeavor and very much like the beginning of the internet 90% of the companies that exist will be acquired by others, or die. Cryptocurrencies do provide an easy and efficient way to reward Artists. Our intention is to focus on these cryptocurrencies and not the ones outside of the Artistic Space. Many projects in the cryptocurrency space have been started with the Creator in Mind providing new routes and methods to enhance an artist’s​ income. We will point to many YouTube videos from people we consider reputable in the crypto space to help further educate you on how you can earn and redeem cryptocurrency for your artistic work. Indie-Music.com has been running an advertising business model since the beginning in the mid-90s. At this time instead of chasing statistics, data and advertisers, we would like to move on to providing these affiliate links not only in hopes of providing better education for artists toward the new economy, but also a method of providing yourself (and ourselves) with greater income alternatives. Located in San Francisco they are filed with the U.S. Securities and Exchange Commission (SEC) are insured by The Federal Deposit Insurance Corporation (FDIC). Coinbase also owns a crypto currency exchange called gdax allowing transfers between your coinbase account and your gdax account for free. This coinbase referral program will provide you with $10 worth of bitcoin once you invest $100, it will also give Indie-music $10 worth of bitcoin once that amount is reached. Binance is currently the most popular cryptocurrency Exchange. They maintain a wide variety of alternative coins that you can trade through the use of Bitcoin or Ethereum. 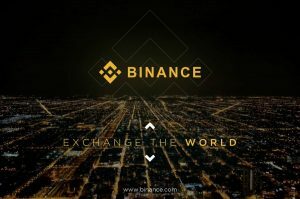 Binance also has their own trading token which allows for a 50% discount on trade costs.